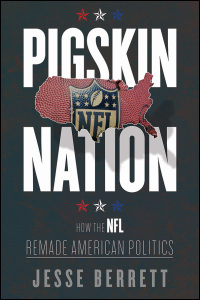 Please join us as we welcome Jesse Berrett for a reading of his newest book Pigskin Nation on Wednesday, May 30th at 6:30 p.m. in our Granny Smith Room! 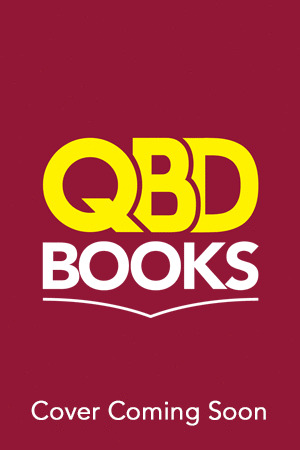 Historian Berrett debuts with a superb cultural history of the period between 1966 and 1974, when “football, politics and culture entwined themselves in ever more complex ways.” Berrett concisely looks at how NFL commissioner Pete Rozelle used his newly acquired production company, NFL Films, to transform the violent image of the sport by producing films and TV programming that extolled football’s “meaning, glory, excitement, and passion.” The book’s second half explores how politicians tried to capitalize on pro football’s cultural relevance, particularly Richard Nixon’s use of the sport—and his endorsement of conservative coaches such as Vince Lombardi—as part of a “public strategy of rallying mainstream America against the dissent, abnormality, and un-American behavior” that could be linked to groups he sought to marginalize. An epilogue looks at how the battle over football’s meaning continued in the 1980s; Berrett observes that Ronald Reagan’s repeated use of “the Gipper” was used to embody the entire Reagan ethos of America as “still the shining city on a hill.” This thought-provoking sports history nicely looks at the significance professional football has had on American politics and culture.